A serious and elegant mask decorated with aged stucco relief and gold leaf. 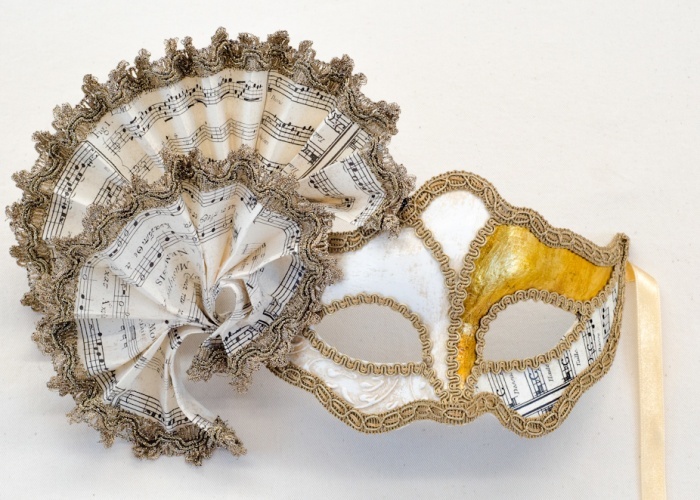 The decoupage insert with sheet music incorporates the motif of the fans on the right side of the mask. An excellent gift idea for music enthusiasts.